The video shows the rib-tickling results of a project taken on by the Canadian fellows featured, namely adapting a sofa so it could be dragged behind a speedboat in the style of a water-skier. 'Couch surfing on Kootenay Lake. 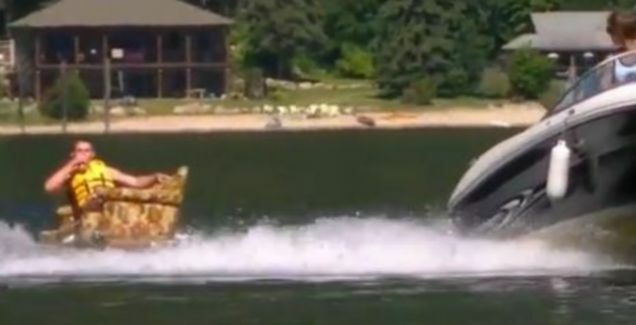 This Bro takes Dirty Hank for a ride and takes on the waters of Kootenay Lake straight chillin' with a beer in hand,' is the description provided by the uploaders below the short clip. 'OMG this is too COOL, that's absolutely epic!' commented YouTube user marcz4100 below the video.